When it comes to scenic drives, few roads in the Silver State can compare to Success Loop Road, a little-known route near Ely that passes through the Schell Creek Range in Eastern Nevada. The 65-mile drive is best accessed via Cave Lake State Park, which is located about 15 miles southeast of Ely via U.S. 93. After heading south of Ely for about eight miles, turn right on a marked, paved road (this is Success Loop Road) and continue for another seven miles to the park. After turning onto Success Loop, you notice that it gradually begins to rise above the surrounding sagebrush carpeted landscape. Ahead are expressive limestone formations that stand like elegant sentinels at the entrance to the lake. Continue through a narrow canyon that leads to the lake, which is actually a 32-acre reservoir. The dark emerald lake is situated in a scenic niche in the mountains, surrounded by forests of pinon and juniper. Above the lake is a small yawning cave—the lake’s namesake—and ridges of rough, crumbling granite peaks weathered by countless centuries of icy winters and hot summers. The recreation area offers a variety of activities with two developed campgrounds (Elk Flat Campground and Lake View Campground) offering showers, restrooms, a dump station, picnic areas and a dock for small fishing boats. The lake is extremely popular for fishing and regularly stocked with brown and rainbow trout—the state record brown trout was caught in the lake several years ago. A five-mile hiking trail begins near the entrance to the recreation area and affords a pleasant opportunity to wander through the trees, enjoying the beautiful scenery and peaceful surroundings. For those wanting a more backcountry experience, Success Loop Road continues above the lake and heads deeper into the mountain range. The road in not paved past the campground area but it is a seasonally maintained gravel road that is accessible by most high clearance vehicles. The route is best to travel in the summer and fall months. Back in here, you will also find a number of undeveloped but usable campsites along several small creeks. The sites are part of the Humboldt-Toiyabe National Forest so there is an overnight fee. Continuing on the drive, you climb through forests of fir and pine trees as well as groves of white-barked quaking aspen. Above, you can see the marvelous carved, bowl-shaped cirques carved into the Schell Range. In the spring and summer the surrounding mountains become filled with colorful wildflowers (mostly lupine and mule-ears) and, occasionally, your vehicle will disturb what appear to be clouds of butterflies that take flight as you pass by. The area is also home to herds of deer and elk, so keep your eyes open during the drive. Success Loop continues for about another 30 miles, with the best part being the first 15 miles or so. If you follow it all the way, the road winds through the mountains and across a few hidden valleys before dropping back to U.S. Highway 93 a few miles north of the tiny community of McGill or about 17 miles north of Ely. 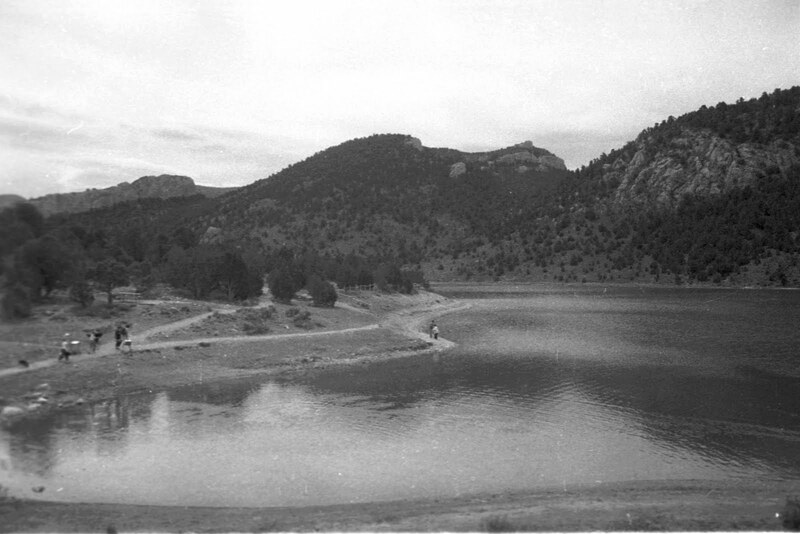 For more information about Cave Lake and Success Loop Road contact the Nevada Division of State Parks, P.O. Box 761, Ely, NV 89301, 775-867-3001 or go to www.parks.nv.gov/cl.htm. While hundreds of books about Nevada history have been published over the years, only a few have focused on Carson City. 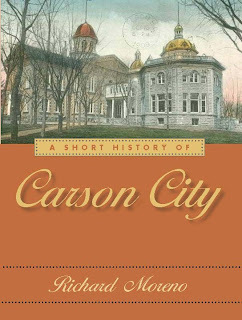 Recently, I completed “A Short History of Carson City,” which was my attempt to add something new to the capital city’s story. Published by the University of Nevada Press, the book traces the history of Carson City from its beginning as a trading post in the Eagle Valley in 1851 to the present. Along the way, readers learn about some of the larger-than-life characters associated with the community, such as Abraham Curry, the man generally credited with founding Carson City, and writer Mark Twain, who spent a few years in the capital. The book outlines the development of the community as it evolved from a dusty outpost on the edge of the Eastern Sierra range into one of the state’s most important cities and host of the state capital. While the Washoe people had long lived in the region, the first white settlers arrived in about 1851. A group set up a trading post in the area north of Carson Valley, which they named Eagle Valley, and began catering to travelers heading to California. Within a short time, others settled in the valley, including Dr. Benjamin L. King and Jacob Rose. But Carson City didn’t really become Carson City until the spring of 1858 when Abraham Curry, John J. Musser, Francis M. Proctor and, a little later, Benjamin F. Green, decided to purchase approximately 865 acres in the valley, which they planned to develop into a community. Years later, Proctor acknowledged that he had come up with the name, Carson City. He said it was named after the Carson River, which flows through the south end of the valley. The river, in turn, had been named in honor of the famed scout Christopher “Kit” Carson, who led some of the earliest expeditions into the land that would become Nevada. The group hired a surveyor to layout lots and streets, and once they had their blueprint for a town, began selling lots. Curry set aside a four-acre chunk of land in the center of the planned community for a public square or, he hoped, as the site for territorial government buildings. It would turn out to be a prescient decision. Within a short time, a business district began to form in the center of the settlement around Curry’s public square. To the east of the budding community were sandstone deposits, which provided building material for many of the community’s buildings. In 1861, Curry, who became the most prominent of Carson City’s founders, built a two-story stone hotel near the quarry, which he named the Warm Spring Hotel because of the presence of natural hot springs in the area. An energetic promoter, Curry also lobbied hard for Carson City to become the capital of the newly organized Nevada Territory. To sweeten the pot, he allowed his hotel to host meetings of the territorial legislature at no cost. In response, one of the first acts of the legislators was to designate Carson City as the territorial capital. Later, when Nevada statehood was granted in 1864, it was only natural and logical that the state capital also be located in Carson City. Curry donated the four-acre plot of land in the center of the community to the new state for a future capital building. The book also traces the development of the Virginia and Truckee Railroad, which was headquartered in Carson City, as well as the development of the community’s most significant landmarks ranging from the State Capitol building to the many historic homes on the city’s west side. The middle chapters describe the region’s ups and downs in the late 19th and early 20th centuries, when the state’s mining industry slumped, as well as the community’s slow but steady march from a sleepy hamlet that prided itself on being America’s smallest capital city (in the 1920s and 30s) to modern, medium-sized American city. Later chapters cover more recent developments such as the growth of new commercial enterprises on the city’s south end, the rebirth of the V & T Railroad and the development of the Carson City Bypass. 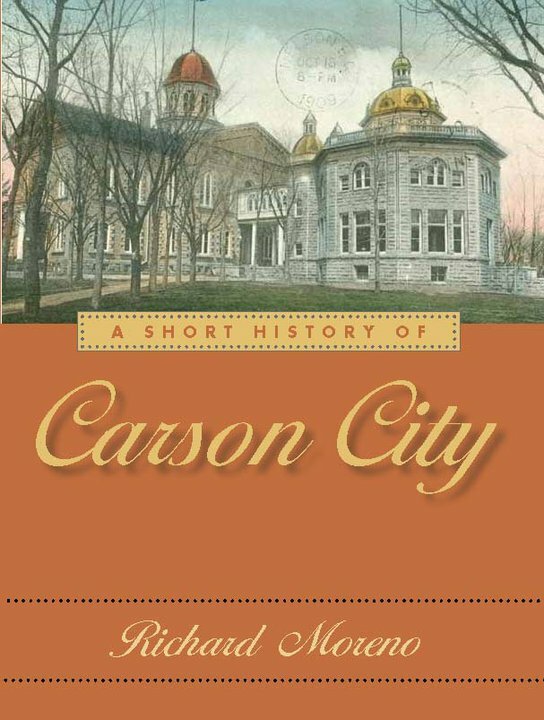 “A Short History of Carson City,” retails for $21.95 and is published by the University of Nevada Press. It is available from local bookstores as well as from the UN Press at www.unpress.nevada.edu.